Although there were early entrants into the children’s enrichment market back in the 1980s and 1990s, this is one field where there are many very recent entries as one might expect with the advancement of various technologies in the 21st century. Entrepreneurs looking for opportunities to buy into a proven business model have a very diverse range of concepts with this list of the 24 best children’s enrichment programs franchises. These programs run the gamut from art and music to science and technology to cooking and math. After all, kids make up 25% of the population, and parents these days are more concerned than ever about giving them rich experiences at a young age to expand their horizons and give them an academic edge as they continue to grow and develop. Anything related to STEM/STEAM (science, technology, engineering, art, and math) is a hot ticket right now as many view STEM-related subjects as the future. But they also have to engage children in a way that is much more fun than school, and the companies on this list are the ones who have figured out how to make that happen and scale it into a chain. These franchise opportunities have also proven to be largely “recession proof” because parents are always reluctant to give up anything they see as benefitting their children, even when times are tough. Interestingly, the three largest companies on this list as measured by number of locations, have not achieved rankings on Entrepreneur magazine’s Franchise 500 list, but six of the others scattered throughout the list have done so. Bricks 4 Kidz loves to get kids playing after school as if they are architects and engineers using LEGO bricks with activities designed by actual engineers and architects. The fun is actually based on a solid STEM curriculum to foster development of all kinds of skills. It’s the brainchild of Michelle Cote, who opened the first location in St. Augustine, Florida and started franchising the concept the following year. 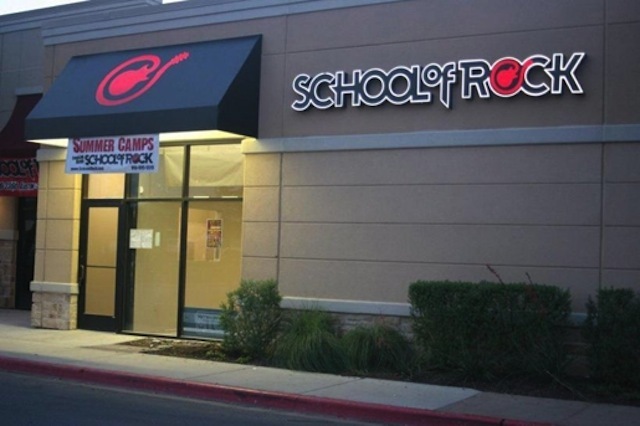 Founded in 2008 and franchising since 2009, the number of locations rose rapidly to 674 locations in 2015, but has declined slightly to the current total of 647, none of which are company-owned and 237 of which are located outside the U.S.
School of Rock got its start when Paul Green started offering music lessons in his home in 1998 and two years later opened the first location called School of Rock Music in Philadelphia. He opened additional locations and then sold the company to Sterling Partners in 2005, who then changed the name to School of Rock. Weekly private lessons on vocals, drums, keyboards, guitar, and bass along with group band rehearsals get students ready for performing live in front of audiences. Camps are also offered during school vacations and summer break. This company currently ranks #163 on Entrepreneur magazine’s Franchise 500 list. Founded in 1998 and franchising since 2005, the number of locations has climbed during the past 10 years from 46 in 2008 to the current total of 214, of which 35 are company-owned and 29 are located outside the U.S.
Engineering for Kids was born because Dori Roberts saw the need to fill a gaping hole in the nation’s public schools — exciting STEM education programming that students would find compelling and engaging. She began with an after-school club that was so successful it inspired her to turn it into a business serving students 4-14 years old. This company currently ranks #496 on Entrepreneur magazine’s Franchise 500 list. Founded in 2009 and franchising since 2011, the number of locations has grown to the current total of 169, only one of which is company-owned and 62 of which are located outside the U.S.
LearningRx is a one-on-one personal training franchise for students with learning difficulties. Developed by a psychologist and a visual processing specialist, their methodology goes far beyond basic tutoring — it’s brain training to develop the cognitive skills that go into thinking, learning, and reading for kids who are struggling academically from attention problems, dyslexia, memory issues, and other challenges. A Cognitive Skills Assessment is administered to discover each child’s strengths and weaknesses, from which a plan of intense mental exercises is put together to address weak areas. Founded in 1986 and franchising since 2003, the number of locations has declined in recent years from 92 in 2014 to the current total of 68, one of which is company-owned and all of which are located in the U.S.
Bach to Rock (B2R) was founded with the firm belief that learning music can be as fun as any other play activity, and that individual music lessons should always be supplemented with jam sessions and playing in a group or band because kids do better at music when playing with their peers. Bach to Rock also realized early on that kids learn music faster if you let them play music they like, so the schools use special arrangements of today’s music to teach students any instrument. This company currently ranks #227 on Entrepreneur magazine’s Franchise 500 list. Founded in 2007 and franchising since 2011, the number of locations has risen to the current total of 32, of which seven are company-owned and all are located in the U.S.
Gymboree Play & Music was created by San Francisco mother Joan Barnes back in the 1970s when she was unable to find a decent place for new parents and children to play and exercise together. Age-appropriate activities for children aged 0-5 help develop the cognitive, physical, and social skills of children as they play while at the same time encouraging parent involvement and helping them better understand their child’s development. Founded in 1976 and franchising since 1978, the number of locations has expanded in recent years to the current total of 738, of which six are company-owned and 584 are located outside the U.S.
Snapology is the creation of sisters Lisa and Laura Coe, who observed with their own children that kids were meant to learn through play, especially through building blocks and other materials that snap together. Snapology’s enrichment programs for children and youth aged 1-14 use LEGO bricks, K’Nex, and other technologies to keep kids so engaged and excited that they don’t even realize they’re learning all kinds of useful STEM/STEAM concepts. Snapology programs are offered year-round in schools, community facilities, homes, and a select number of Discovery Centers. Founded in 2010 and franchising since 2015, the number of locations has risen quickly to the current total of 53, one of which is company owned and seven of which are located outside the U.S.
Young Rembrandts was started by Bette Fetter, a pre-school worker who has three children of her own. When a friend mentioned she couldn’t find art classes for young children, Fetter decided it was time to put her studio art degree to work for her. She began teaching drawing to pre-schoolers and eventually refined and expanded her programs for young children aged 3-5 and kids aged 6-12. The programs are brought into daycare centers, parks, and after-school programs for weekly sessions focused on drawing and cartooning classes along with summer drawing workshops. This company currently ranks #489 on Entrepreneur magazine’s Franchise 500 list. Founded in 1988 and franchising since 1997, the number of locations currently stands at 99, none of which are company-owned and 10 of which are located outside the U.S. Drama Kids International builds upon the work of popular Australian television actress Helen O’Grady who developed her own children’s programming back in the 1980s to develop speaking, acting, and social skills through the use of fun, fast-paced drama activities. The weekly hour-long sessions help students be enthusiastic, speak out clearly, and relate to others with confidence. Other skills participating students develop include creative thinking, collaboration, and leadership. This company currently ranks #192 on Entrepreneur magazine’s Franchise 500 list. Founded in 1979 and franchising since 1989, the number of locations has risen over the past 10 years from 176 in 2008 to the current total of 237, none of which are company-owned and 161 of which are located outside the U.S.
Abrakadoodle is an art enrichment franchise that is all about inspiring and developing creativity in kids. This is a mobile art program that comes to schools, community sites, clubs, summer and holiday camps, parties, and other events to provide immersive sessions that teach kids about art even as they do art. The company’s lesson plans, delivered by well-trained teachers, are specifically designed to exceed national standards for visual arts education. Founded in 2002 and franchising since 2004, the company began to grow aggressively on the international scene in 2010. There are now 483 locations, only two of which are company-owned and 437 of which are located outside the U.S.
KidzArt is a fine arts enrichment program for both kids and adults that offers classes, parties, camps, and workshops utilizing a curriculum that never repeats along with a variety of creativity-oriented educational programs. Activities are designed to remove the biggest barrier to creative expression — the fear of failure. Within a safe environment, mistakes become opportunities to learn and grow, resulting in artwork participants never knew was inside them. Participants also learn how to use art as a relaxation technique. Founded in 1997 and franchising since 2002, the number of locations has declined in recent years from a high of 107 in 2014 to the current total of 40, none of which are company-owned and 10 of which are located outside the U.S.
Zaniac offers play-based learning programs for K-8 kids to learn STEAM concepts in after-school settings and summer camps. It is the brainchild of world-famous economist, college professor, bestselling author, White House official, and software developer of educational curriculum Paul Zane, who created a better way to teach math in which an individual curriculum is built for a child automatically by computer after they take an assessment test. Paul and his wife Lisa opened the first Zaniac campus in Park City, Utah in 2012 and started franchising the concept in 2013. The company website currently lists 7 locations, all in the U.S.
theCoderSchool is a place where kids can learn to code through its combination of collaboration and immersion with direct instruction delivered by Code Coaches. The concept came from Hansel Lynn and Wayne Teng, two guys who have been friends and business partners for more than 20 years. In the digital era of the 21st century, kids should have the opportunity early on to learn how to code, but opportunities are few and far between, which is what led to the creation of theCoderSchool. Founded in 2014 and franchising since 2015, there are now 23 locations, of which three are company-owned and all of which are located in the U.S. Nutty Scientists is a children’s enrichment program providing interactive experiences for children of all ages (3-16) in STEM that children and youth find exciting and engaging, as opposed to the boring textbook approach still seen in many schools. A special focus includes hands-on activities to teach environmental and health issues in a compelling and entertaining way, all the while making safety a top priority. This company currently ranks #353 on Entrepreneur magazine’s Franchise 500 list. Founded in 1996 and franchising since 1997, the number of locations has expanded in recent years from 118 in 2011 to the current total of 318, of which seven are company-owned and 303 of which are located outside the U.S.
Hobby Quest was started when Boaz Givon revived his childhood passion for building and flying model airplanes and started introducing it to elementary students in New Jersey. His concept includes woodworking skills along with all the math, science, and engineering that goes into making something that can fly. Hobby Quest soon became the hottest after-school enrichment ticket in the state. The company has developed new hands-on, hobby-themed enrichment programs including Making Magic, Fashion Design, and Kids ‘n Cameras. Founded in 2003 and franchising since 2012, the number of locations now stands at 20, of which seven are company-owned and all are located in the U.S.
Little Medical School is a STEM-based program that brings medicine, science, and the importance of health to children aged 4-12 in ways that are entertaining, exciting, and fun. It offers after-school programs, birthday parties, and special events that can be customized, and each curriculum used is aligned with STEM objectives. Hands-on demonstrations, crafts, and games teach children about the world of medicine, how the body works, using medical instruments, and administering first aid. Additional programs include Little Veterinarian School, Little Nursing School, and Little Dental School. Founded in 2010 and franchising since 2014, there are currently 45 locations, of which four are company-owned and seven are located outside the U.S.
iCode was founded by Abid Abedi and Rashmi Mukherjee to teach computer science and robotics to children and youth in a way that equips “young minds with the skills to think critically, solve problems logically, and imagine endless possibilities.” Working with elementary, middle school, and high school students in their after-school enrichment programs, the company provides robotics and coding enthusiasts an opportunity to design and develop their own ideas into viable solutions with mentoring that could even help them bring ideas to market. Founded in 2015 and franchising since 2016, there are now five locations, one of which is company-owned and all of which are located in the U.S.
Bricks Bots & Beakers (B3) focuses on age-appropriate STEM activities for kids from age 3 up through middle school. BRICKS classes focus on engineering and building activities, BOTS classes hone in on robotics and computer programming, and BEAKERS classes present hands-on science with such offerings as Gross Out Chemistry, Elementary Entomology, Potions Lab, Forensic Mysteries, and more. The activities are designed to foster the 4Cs: Creative thinking, Communication, Collaboration, and Creativity. Founded in 2012 and franchising since 2014, there are now 16 locations, two of which are company-owned and all of which are located in the U.S.
CompuChild offers fun STEAM classes at child care centers, schools, and community centers to develop the 4Cs in each child: Communication, Collaboration, Critical thinking, and Creativity. Age-appropriate programming is available to preschoolers and grade-schoolers K-6 as an after-school program. The approach is strongly informed by the standards created by the International Society for Technology in Education. CompuChild was born in Carmel, Indiana back in 1994, and has been franchising since 2001. The number of locations has declined in recent years from 62 in 2011 to the current total of 27, of which one is company-owned and all are located in the U.S. STEM for Kids was founded by Moni Singh when she left the corporate world to find ways of introducing STEM programming to younger kids in a way that made it fun for them. The company is based on the firm belief that the future depends on rising generations of STEM-proficient young people. Leaving the corporate landscape also allowed her more time to connect with her own family, which is when she discovered how fun STEM activities with her kids could be. Offerings include computer programming, engineering, and advanced manufacturing. Founded in 2011 and franchising since 2014, the number of locations has exploded in the last year from only 12 in 2017 to the current total of 80, of which five are company-owned and 22 are located outside the U.S. Taste Buds Kitchen is a fun kitchen for kids by day and a BYOB kitchen for adults by night. The company was started by husband and wife team Jessi and Jeff Brelsford with a few holiday baking classes and cupcake birthday parties at a loft in Soho, New York City, under the name Cupcake Kids! Each Taste Buds Kitchen is maintained free of peanuts and tree nuts and does not make use of any nut butters, oils or flour, or items containing the whole nuts. From cupcakes to pastry to sushi, participants learn the joy of cooking from scratch through classes, parties, camps, and special events. Founded in 2007 and franchising since 2013, the number of locations now stands at 10, one of which is company-owned and all of which are located in the U.S.
High Touch-High Tech will send scientists to nearly any location and turn it into a living laboratory where kids from pre-school to high school can experience fun, hands-on science projects. Creative activities are designed to be inquiry-based and non-competitive in order to get kids feeling so excited and positive about science that they will become lifelong learners who love science. An added bonus is that the programs show applications of science in daily life to keep it relevant. All programming is delivered by certified science teachers. Founded in 1990 and franchising since 1993, the number of locations has expanded slightly in recent years to the current total of 34, of which four are company-owned and 12 are located outside the U.S.
Mad Science Group serves up hands-on science activities that are equal parts educational and entertaining for children. All founding brothers Ariel and Ron Shlien had to do was think back to their childhood days and all of the crazy experiments they dreamed up. This is a mobile science demonstration concept that can be delivered in any group setting, including birthday parties, schools, clubs, and so on. Founded in 1985 and franchising since 1995, the number of locations has slowly declined over the past 10 years from 183 in 2008 to the current total of 144, only one of which is company-owned and 60 of which are located outside the U.S.
24. Chef It Up!/Chef It Up 2 Go! Lisa Tirone decided to take her love of cooking and her energetic personality and combine them into a business idea – cooking classes and parties for kids. Because two of her own children suffer from life-threatening food allergies, she kept everything peanut-free and tree nut-free from the start, and she is highly tuned in to other food allergies as well. Classes can take place at a Chef It Up! location or on-site with a Chef It Up 2 Go! travel team. Founded in 2003 and franchising since 2005, there are currently 14 locations, two of which are company-owned and all of which are located in the U.S.